The Alternatives to Violence Project Ireland is a company limited by guarantee with charitable status. The board of directors has three members. A working committee of seven facilitators including the board of directors is supporting and supervising the work of the coordinator. A part time coordinator was appointed in January 2016. AVP Ireland is a non-hierarchical organisation, decisions are made during monthly meetings by consensus. 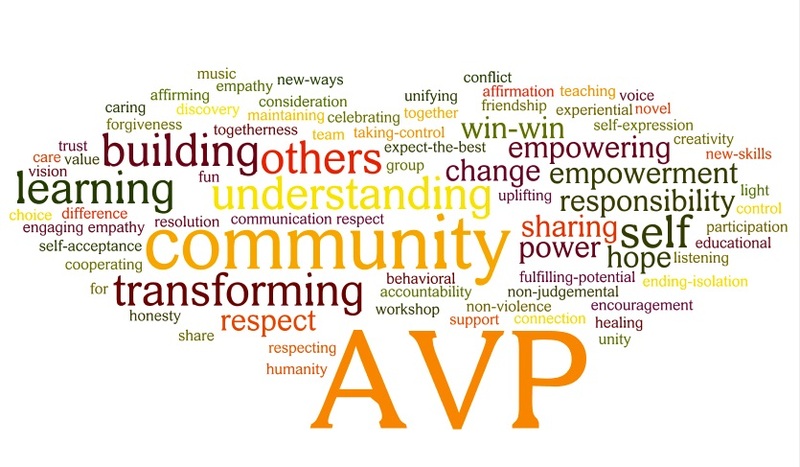 The Vision, Mission and Values of the AVP help to define and guide the organisation, and to maintain and grow our presence in prisons and in the community. These are outlined below. Is a community based on honesty and respect; that can resolve conflicts without resorting to violence. Is to enable workshop participants to heal by rebuilding their self worth. This is facilitated by creating supportive communities based on trust. AVP believes that all individuals must take responsibility for their actions and that ultimately violence and conflict can be transformed. We do this by engaging in individual and group activities that discuss, address and reflect on our past and how we can learn from it to help us build the skills and confidence to effectively deal with future conflicts in a non-violent way. 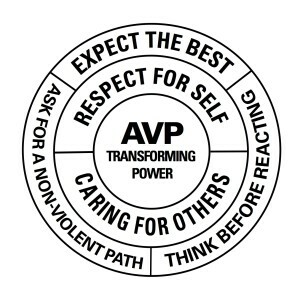 - We believe in the potency of Transforming Power - The central theme in AVP is Transforming Power. This is the power, available to us all to transform what might be a violent or destructive situation into a non-violent one.